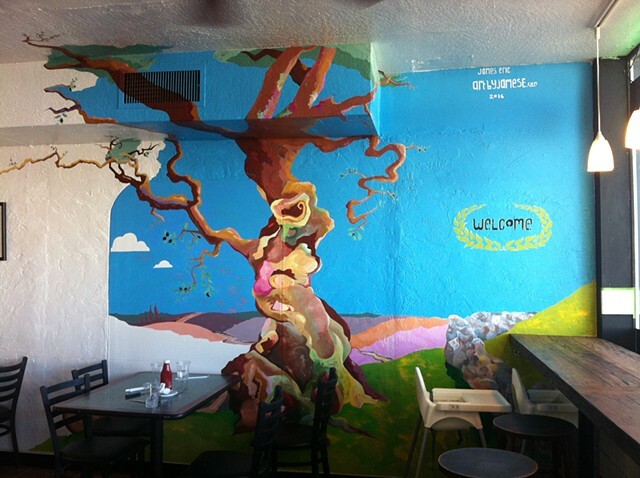 Ancient olive tree mural for the interior of Zaytoon Grill located at 1618 Central Avenue. St. Pete, Florida. A Mediterranean eatery, Zaytoon opened in August of 2015 and this recently finished project has helped this small space create a focal point and feel more dynamic.